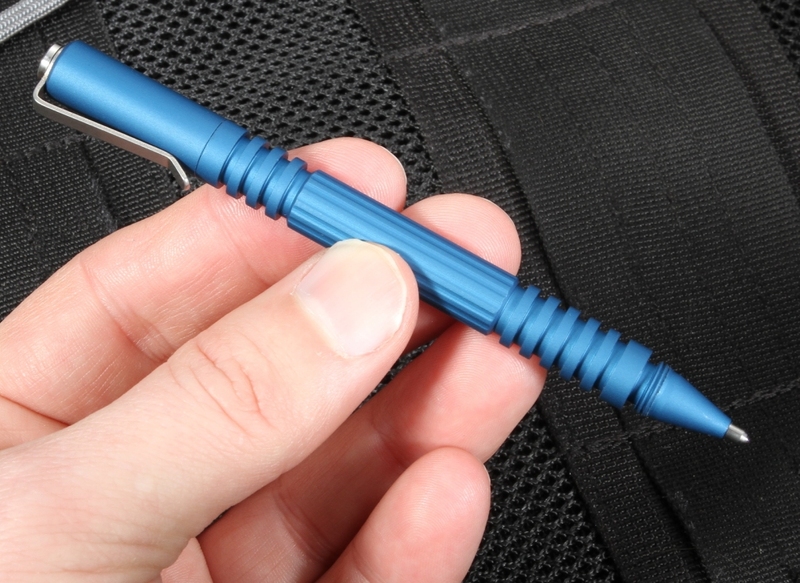 Looking for the ideal small, tactical pen? Renowned knife designer Rick Hinderer has added a beauty to his line of tactical tools: The Investigator Pen in blue. The barrel's longitudinal grooves and ridges at each end give you a great grip whether you're writing in the field or using it in a CQB role. 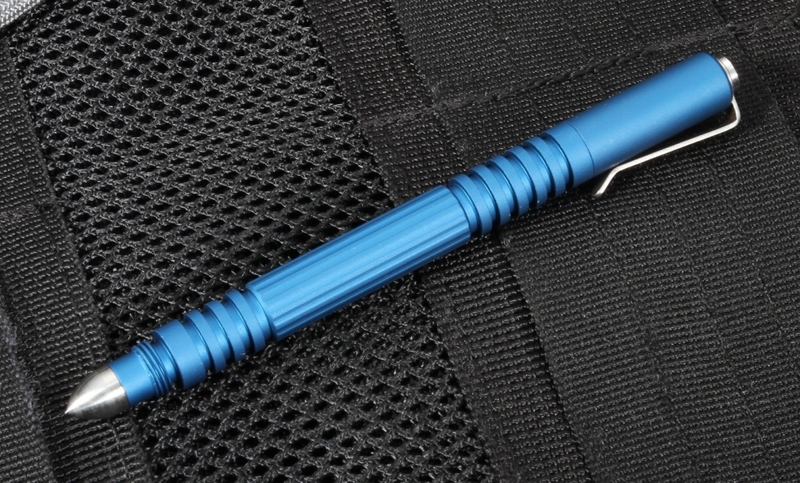 Its modular design means you can take off the small bullet on the pen's back and replace with another attachment customized for your situation. 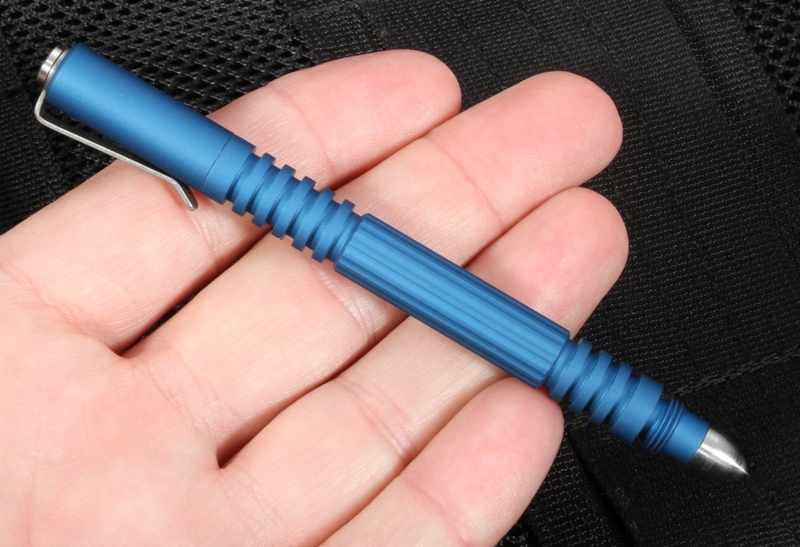 Made of aircraft-grade 6061-T6 aluminum, the Hinderer Investigator pen in blue is tough but super lightweight -- it's less than an ounce and measures 4-3/8 inches long. 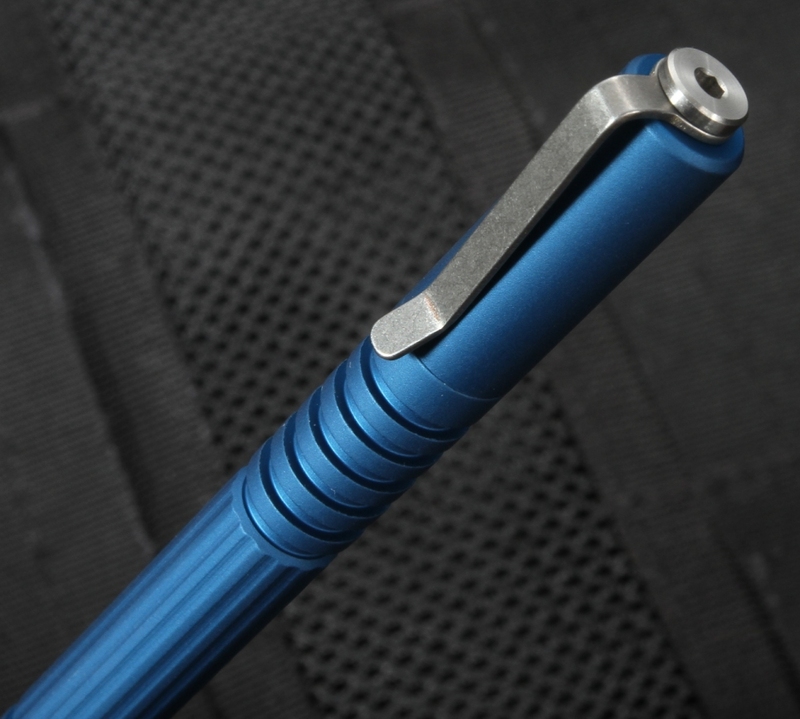 Each pen is protected with a blue, military-grade anodized finish and CNC machined in the U.S.A. Refill with Fisher Space cartridges that let you write just about anywhere. 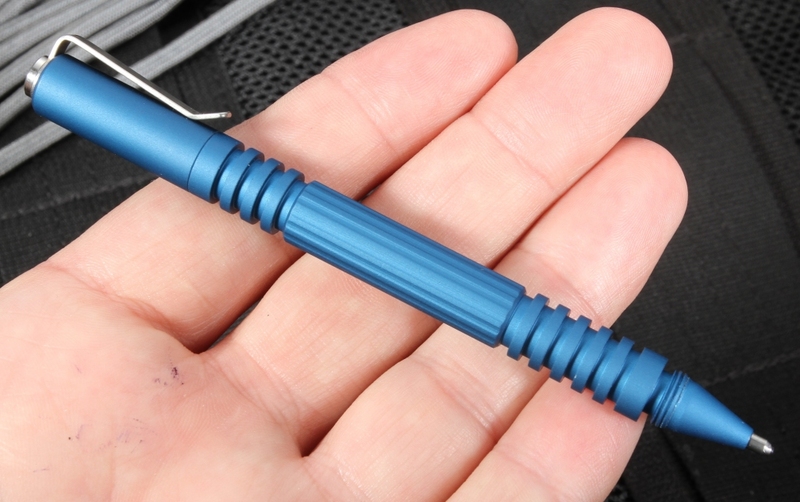 This pen's extreme durability means you'll be able to use it for years to come. TOTAL SIZE WITH CAP: 4 1/4"
MATERIAL: Aircraft Grade 6061-T6 Aluminum with a Mil Spec Type 3 Hard Coat Anodize.